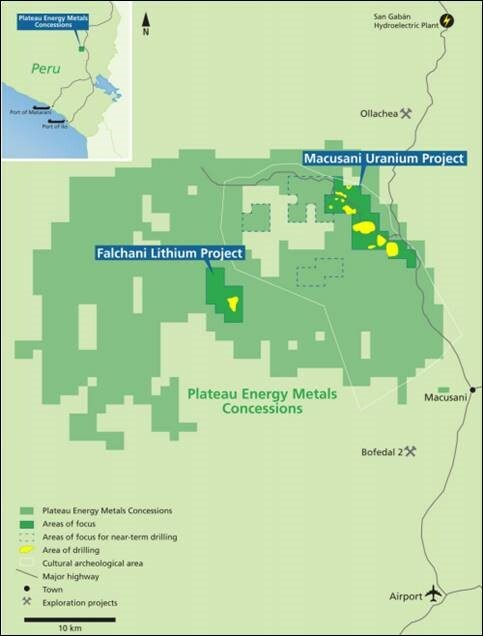 In a press release dated March 11th, 2019, Plateau Energy Metals Inc. (Plateau) announced the appointment of M.Plan International Limited to act as advisors in support of the ongoing advancement of the Company’s Falchani lithium project (Falchani). The advisory board will support Plateau’s existing management team during the development of a comprehensive preliminary economic assessment (PEA) on Falchani. According to Plateau, the advisory board was chosen based on experience in lithium processing and project design and engineering from study work to operations. M.Plan brings extensive expertise in multiple lithium projects from a processing, customer end product preferences and independent lenders’ engineer perspective. David Anonychuk, Managing Director of M.Plan, remarked that “With the strong expected demand growth in lithium, M.Plan is pleased to work with Plateau’s management team to support the advancement of the Falchani project”.